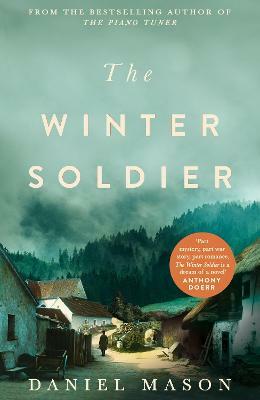 From the bestselling author of The Piano Tuner, comes Daniel Mason's The Winter Soldier, a story of love and medicine through the devastation of the First World War. Vienna, 1914. Lucius is a twenty-two-year-old medical student when World War One explodes across Europe. Enraptured by romantic tales of battlefield surgery, he enlists, expecting a position at a well-organized field hospital. But when he arrives, at a commandeered church tucked away high in a remote valley of the Carpathian Mountains, he finds a freezing outpost ravaged by typhus. The other doctors have fled, and only a single, mysterious nurse named Sister Margarete remains. But Lucius has never lifted a surgeon's scalpel. And as the war rages across the winter landscape, he finds himself falling in love with the woman from whom he must learn a brutal, makeshift medicine. Then one day, an unconscious soldier is brought in from the snow, his uniform stuffed with strange drawings. He seems beyond rescue, until Lucius makes a fateful decision that will change the lives of doctor, patient and nurse forever. From the gilded ballrooms of Imperial Vienna to the frozen forests of the Eastern Front; from hardscrabble operating rooms to battlefields thundering with Cossack cavalry, The Winter Soldier is the story of war and medicine, of family, of finding love in the sweeping tides of history, and, finally, of the mistakes we make, and the precious opportunities to atone. 'Part mystery, part war story, part romance, The Winter Soldier is a dream of a novel' - Anthony Doerr, author of All The Light We Cannot See. Daniel Mason is a physician and author of the novels The Piano Tuner and A Far Country. His work has been translated into twenty-eight languages, and adapted for opera and theatre. A recipient of a fellowship from the National Endowment for the Arts, he is currently a Clinical Assistant Professor of Psychiatry at Stanford University, where he teaches courses in the humanities and medicine. He lives in the Bay Area with his family.